St. John Cassian: When we have attained some degree of holiness we should always repeat . . . This entry was posted in Sayings from Saints, Elders, and Fathers, St. John Cassian and tagged Gift, Grace of God, Pride, Psalm 126 (127), Quotes from the Philokalia, Remembering God, Scripture Epistle 1 Corinthians, Scripture Epistle of James, Scripture Epistle to Romans, Scripture Gospel of John, Self-Reliance, Self-Will on July 20, 2015 by . 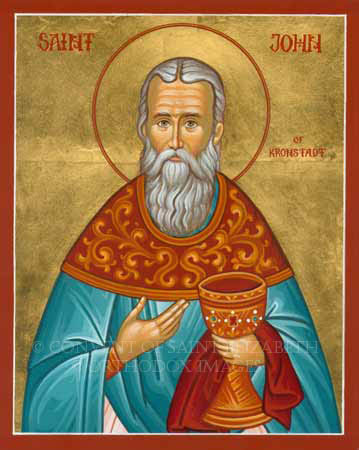 St. John of Kronstadt: The Comforter, the Holy Spirit, who fills the whole universe, passes through all believing, meek, humble, good, and simple human souls, dwelling in them, vivifying and strengthening them. . . . 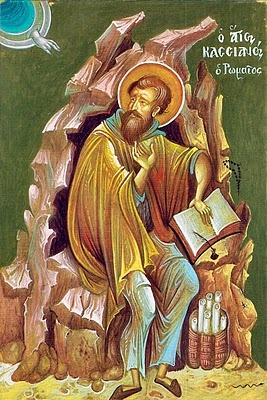 This entry was posted in Sayings from Saints, Elders, and Fathers, St. John of Kronstadt and tagged Book of Ecclesiasticus/Wisdom of Solomon, Drawing to God, God, Holy Spirit, Humility, Joy, Living Orthodoxy, Meekness, Peace, Righteousness, Salvation, Scripture Epistle 1 Corinthians, Soul, Theosis, Virtue on June 11, 2014 by .